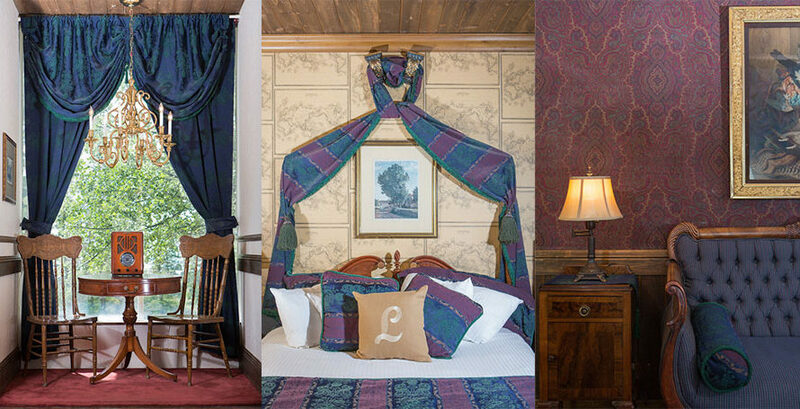 A two-room suite with a touch of Victorian décor. Romance abounds in the bedroom, which features a tasteful four-post, queen-sized bed and full bath. The suite includes a sitting area, writing desk, coffeemaker, and TV.